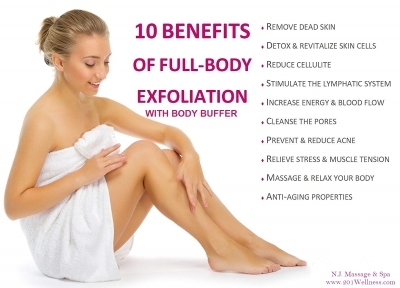 Click here to see Body Buffer Treatment Video! Are you looking for a full body spa treatment that will ultra exfoliate, cleanse the pores, detox, reduce cellulite, firm, tone, smooth and rejuvenate the skin as well as a deep tissue massage, all in 60 minutes? Smoothing and Skin Rejuvenating, Body Buffer Spa Treatment with Ultra Hydration Application. This treatment will help boost blood and lymphatic flow, stimulates collagen formation and stretches fibrous tissues to improve elasticity – creating multiple benefits for your appearance and promoting a feeling of well-being. A soft terrycloth pad on the treatment device buffs away dead skin while it’s doing all of it’s other magic. After your very first session, your skin will feel Ultra Exfoliated, Silky and Unbelievably Smooth. The appearance of cellulite will be diminished due to the increase lymphatic drainage and circulation. 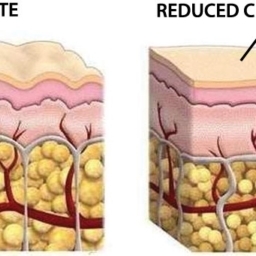 This will help to reduce the dimples that are characteristic of cellulite. Results may vary. May require multiple treatments for optimal results. And it provides a relaxing deep tissue massage. 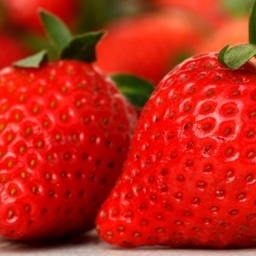 It’s an unique and effective way to have the smoothest, freshest and healthiest skin possible. This treatment can be purchased as a 60 minute single treatment $125 per treatment or added on the any spa service for $35 per 15 minutes. This treatment is for the body not the face. Call today to schedule your appointment! 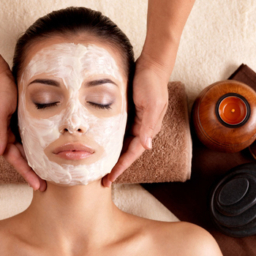 Book one of our unique skin treatments and restore the natural balance to your body! © 2019 N.J. Massage and Spa. All rights reserved. Sign up Today and Receive 10% off your First Massage or Spa Treatment! *All fields required. We do not send spam or sell our lists to anyone. All information will be kept strictly confidential. Discount can not be combined with any other offer, discounts, specials or used towards gift certificate purchase. Please note, all massage and spa services are for women or couples only.